Next: Is there a need for plastic money? Read on and get a simple recipe, which is perfect during cooler months. This recipe is very simple and quick to prepare yet, it’s very delicious and filling. It’s best for colder months when all the ingredients that you’re going to need are readily available. 1. 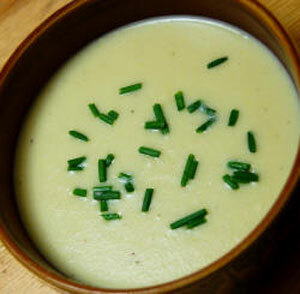 Using a medium saucepan, boil the leeks, the peeled and sliced potato, as well as stock over medium-high heat. Add the salt and pepper to season. Reduce the heat and simmer for 15-20 minutes. 2. Remove from the heat and transfer to a blender or puree in the saucepan until it’s smooth. 3. Taste and add more salt and pepper if needed. If desired, thin the soup down by adding more cream or milk. 4. Serve hot. Garnish with chives or fresh parsley.